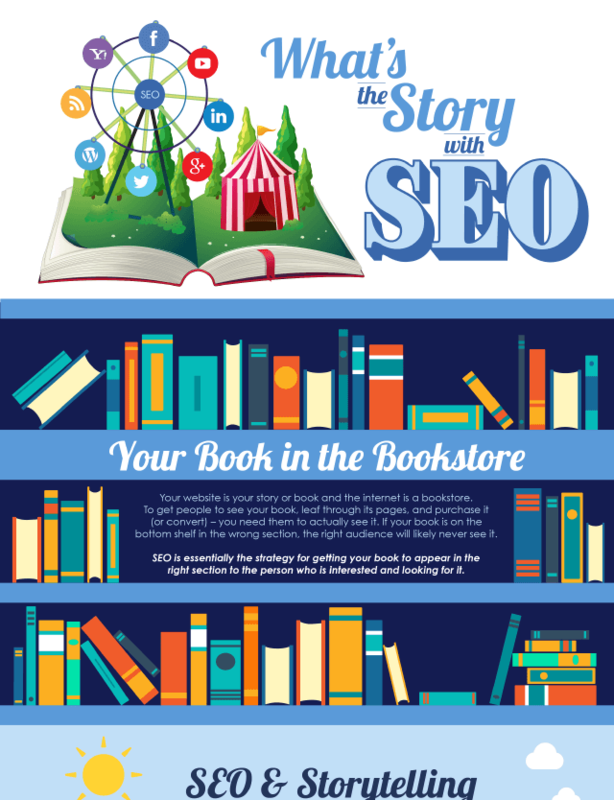 Home > Content Library > What’s the Story with SEO? Unless search engine optimization (SEO) is your job, it can be confusing. In fact, many marketers don’t know how SEO works, what it looks like, or why it’s so valuable. Let’s look at the SEO essentials – and explain it through the use of an analogy – a story. The real value of SEO is that it makes it possible for potential prospects to find your firm online.